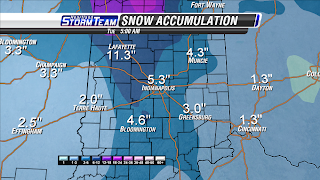 I've been able to take a look over some of the RPM snow accumulation numbers that I couldn't access at home. I thought I'd share them with you. Here's a look at the 21z (3pm) run of the RPM for southeast Missouri, southern Illinois, western Kentucky, northwest Tennessee. Overall, these numbers are pretty close to what I am thinking. 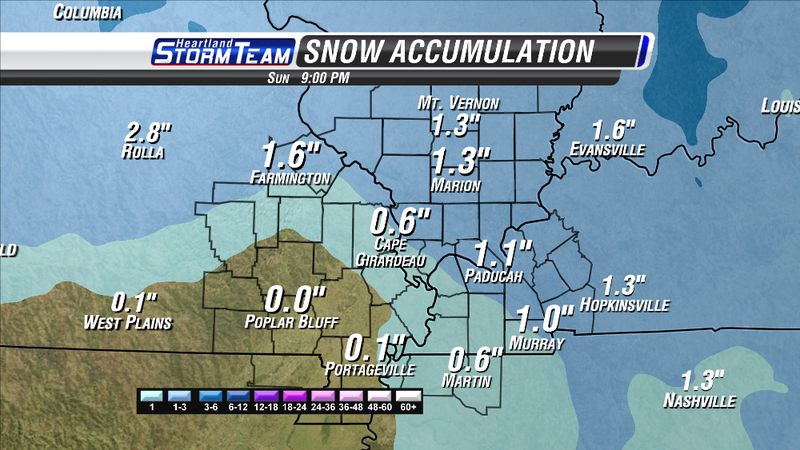 Generally speaking, we will probably see 1/2" to 1.5" and a few spots in southern Illinois might see 2". 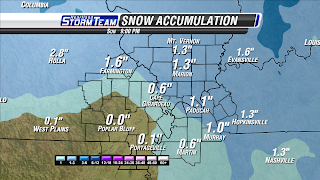 The Cape Girardeau area will likely see around a half inch. Some spots will see no accumulating snow at all. 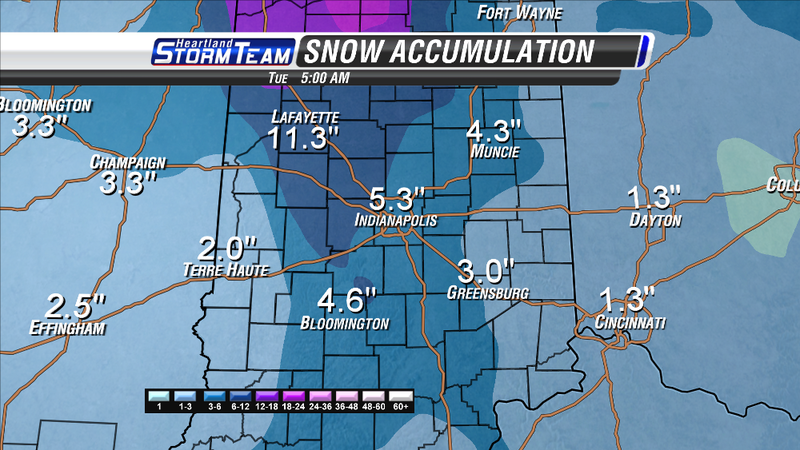 Now for those of you living in Indiana... Take a look at the numbers the RPM is spitting out for you. Keep in mind, this is a running 72 hour total. It appears that there will be a pretty good lake effect snow band setting up somewhere over northwest Indiana. I think some of the inflated numbers you see for Indianapolis and Bloomington includes the lake effect going that far south. It isn't out of the question that could happen for Indianapolis. I think Bloomington is a little far for it to reach.